This mixed offering is designed to showcase​ some wines other than Chateauneuf-du-Pape in the southern Rhone. 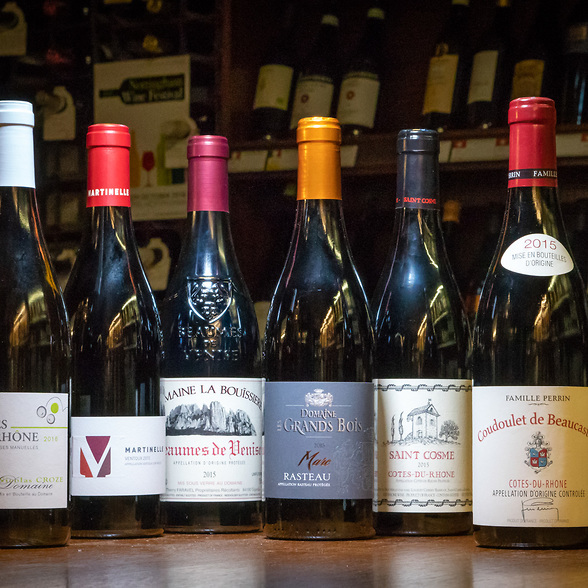 The landscape and villages of the southern Rhone are ideal for vinous explorations - there is always some new wines to discover or some young Turk on the block who is determined to make a name for themselves. Travelling around this region, meeting vignerons and tasting their wines, one is always struck by the contrasting styles between wines made from villages only a few kilometres apart: the power of a Rasteau, the perfume of a Beaumes de Venise, the elegance of a Ventoux. . Our mixed case features some of the regions' finest estates and showcases not only their talents but the wide range of wine-styles that exist in this sun-drenched part of France.